I cannot claim to be a voracious reader, but I do love reading. I love reading fiction, and usually read books recommended by friends or family. I love reading stories based on true life but am open to reading thrillers, science fiction, romance etc. I tend to read at my own pace, sometimes just a couple of pages sometimes an entire chapter, depends on how interesting I find the story. Stories have a tendency to transport one to another world, re kindle your fantasy, create imagination and above all know a bit more about cultures, the world, different people etc. 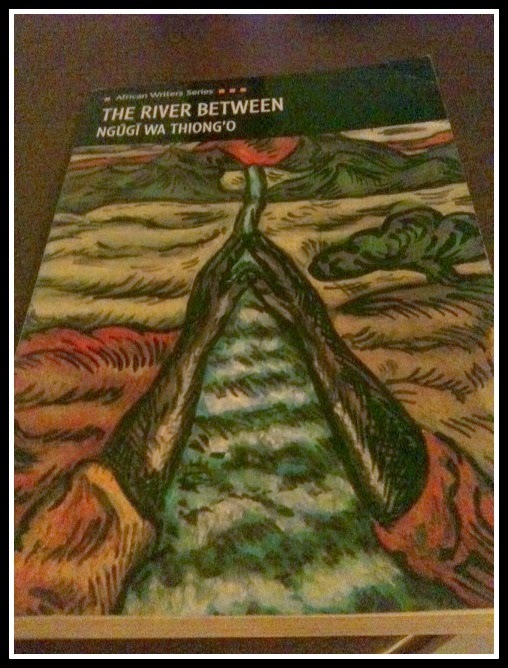 Recently I finished reading The River Between by Ngugi wa Thiong’o. He is a Kenyan author and this is the first book of his that I have read. I want to read his other books, Weep Not Child, A Grain of Wheat, Petals of Blood to name a few. I loved his simple way of writing but getting the message across clearly. The River in Between is about two sects of a tribe faced with new religion by the early white settlers. Torn between old customs and new religion, its a story about how one young man from the Gikuyu tribe envisions a new way forward by educating the tribe and unifying both the Makuyu and Kameno. Wash the green chillis and pat dry with a kitchen towel. Slit the chilli on one side. Remove the seeds. 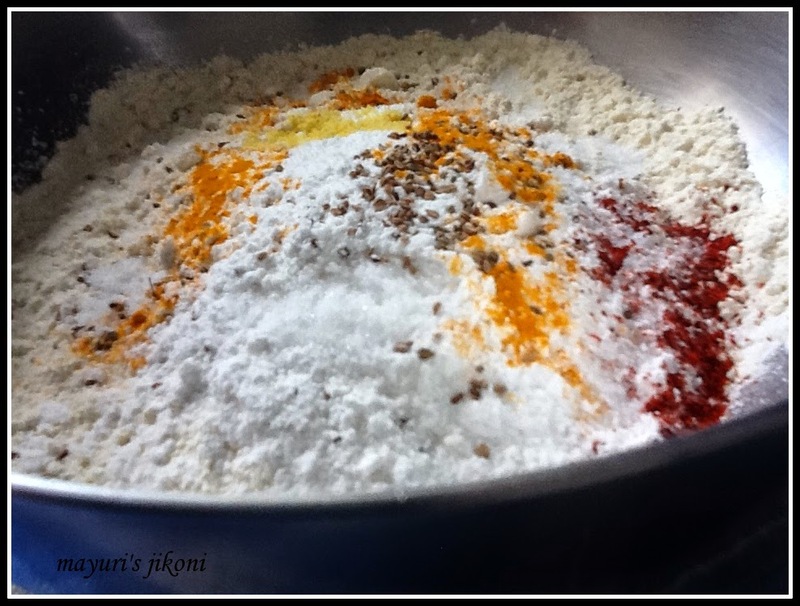 Mix the flours, spices, oil and water to make a smooth batter. Heat the oil for frying in a wok, karai over medium heat. Dip one chilli in the batter and put it into the hot oil. Add 3 to 4 more chillis. 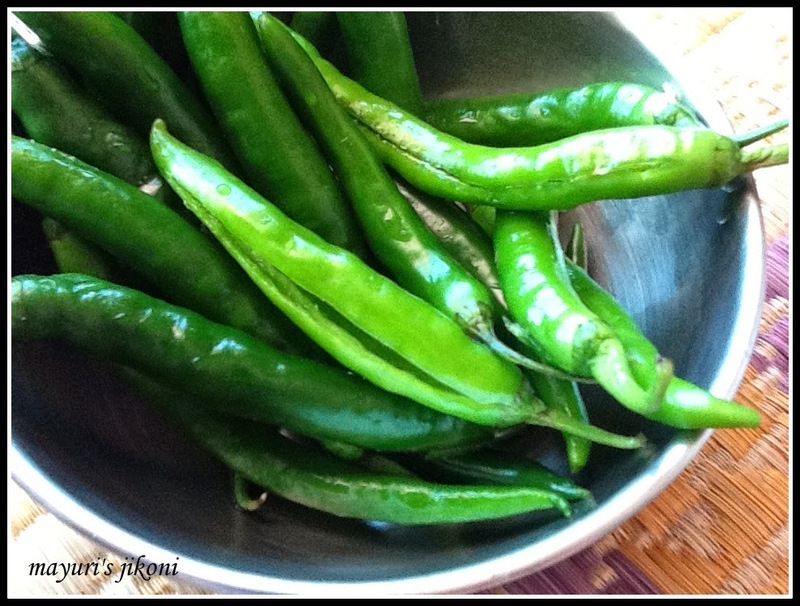 Remove the chillis with a slotted spoon into a colander or a paper towel lined plate. Fry the rest of the chillis and serve hot. Use chillis that are not chilli. To remove the seeds I tend to scrap the chilli from tip to head with a pointed knife. 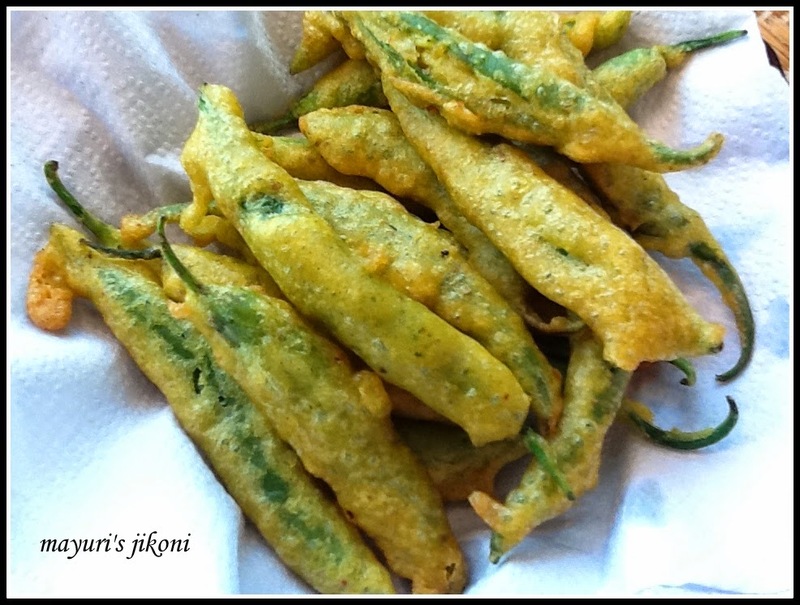 Fill chillis with a mixture of salt and ajwain before dipping them in the batter. The batter should not be too thick or too thin. It should coat the chilli. To test whether the oil is hot, drop a bit of batter in the oil. If it comes up immediately, the oil is ready.